Plastic surgery for men is the fastest growing demographic. Men are getting more Botox, liposuction, breast reduction, and facial rejuvenation than ever before. 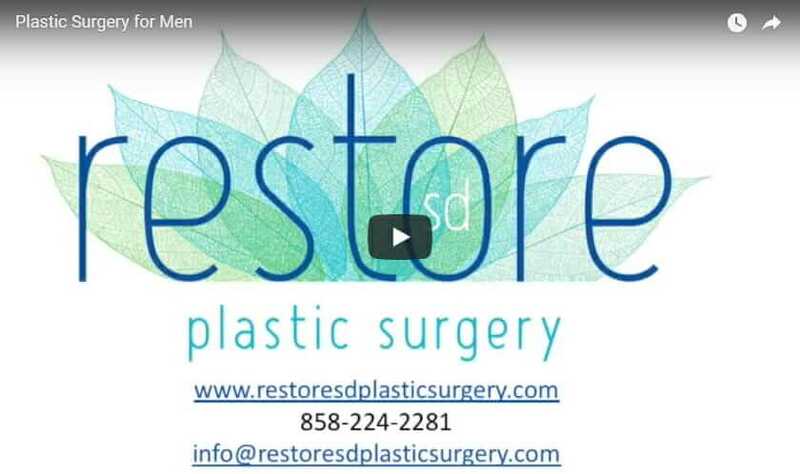 Dr. Gallus and Dr. Douglas talk about the most popular procedures for male patients. To talk to you about plastic surgery for men. Cosmetic surgery and non-invasive procedures for men is the fastest growing demographic in plastic surgery. Many men want to maintain a competitive advantage in the workplace, and looking young and refreshed is easier than ever. Many procedures can be performed. Some of the most popular include Botox, laser resurfacing, eyelid lifts, liposuction, and male breast reduction. When you’re ready to refresh your look, we’ll look forward to seeing you at Restore SD Plastic Surgery for your consult.